Our passenger hoist have ISO9001:2008 certificate, We are a special supplier of passenger hoists in China. 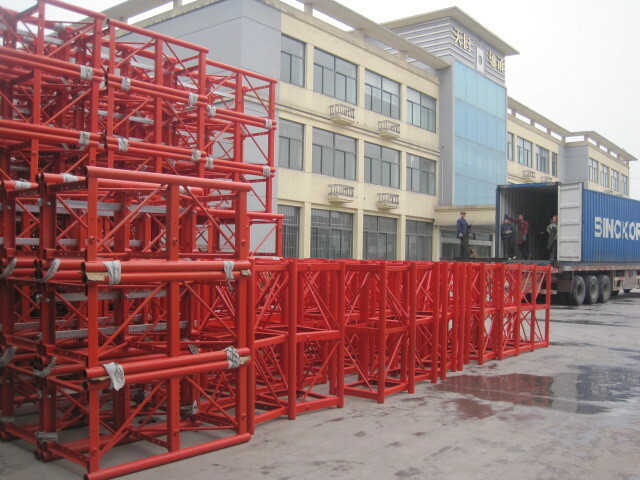 Our passenger hoist has been widely exported all over the world with a good reputation. TRUEMAX passenger hoist have been widely used for transportation for both men and cargo in general buildings, electric power plants, mining wells, oil fields and chemical industries. 5). Recommended cage inner dimension (LxWxH)(m) of the passenger hoist: 2.5x1.3x2.5;3.0x1.3x2.5;3.2x1.5x2.5;3.6x1.5x2.5;3.8x1.5x2.5;4.0x1.5x2.5;4.2x1.5x2.5,cage dimension is according To requirement of customer and special project.